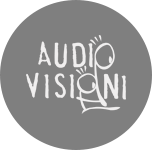 Audiovisions born from the encounter between the musician Francesco Curatella, filmmaker Eric Tornaghi and Prof. Andrea Giomo, sensory analysis expert. Three professionalism ‘that come together to create multi-dimensional performances that combine music, images and sensory experiences. This heterogeneous group, and ‘able to create multimedia events: concerts with video projections, audio-video installations, sensory analysis and tasting courses, soundtracks, documentaries, music videos and stage performances. Each individual event and ‘made with unpublished music of Francesco Curatella, images created by Eric Tornaghi that blend with the sensorial analysis impressions evoked by Prof. Andrea Giomo. Every detail of the shows and ‘designed so that you create a relationship with the people and places where the performances take place. The result is’ every time an original performance, unique and unrepeatable. Audiovisions realizes events and ad hoc projects for municipalities, organizations and associations, but also to those for companies that want to promote their products in a creative and professional way.